Not Quite Ready to Say my Goodbyes…So Farewell INTERNeX!! So I started at INTERNeX back at the end of November 2009 and I was taken on as the PR/Communications Intern. I had been looking for several months for opportunities within the work force but within my field of study, which is Communications. I was in my fourth year up at Simon Fraser University and had had little experience besides from survival jobs such as being a server at Joey’s on Broadway, cashier at Urban Outfitters, and so on. After years of working within the service industry I was ready to take on a new challenge and I had always been interested in doing an internship. After months and months of research with little to show for it I came across INTERNeX. They were offering an opportunity that just seemed to be exactly what I was looking for! After several interviews I was accepted and started work at their office the following week. The first time I stepped into the office I was super nervous and everybody seemed to be quite involved in their own work. Tempted to just sit in front of my computer and get down to it, I recognized how important it was for me to get to know my coworkers because we would be working together for close to 6 months. So I realized how important it was for me to take myself out of my comfort zone and show the INTERNeX staff that I was there to be a part of their team. The first week was quite overwhelming because I had to get acquainted with all of systems and procedures in place within their social media networking tools and the company in general. But as the weeks went by i began to feel more and more comfortable in the office setting and actually started to feel like a member of the INTERNeX family. Everyday at the office was something new… and this aspect of my placement was very exciting for me and i welcomed this new change. Throughout a significant portion of my placement i was attending school as well, so i had to juggle a heavy course load and three days a week at the office. I was unsure as to whether i would be able to handle everything on my plate, but i actually began to look forward to my days at the office because it broke up my same old boring school schedule that i was getting tired of. I was learning about all these new social networking tools, such as twitter, facebook, twaitter, wordpress, flickr, etc and part of my job was planning events and trips! Cannot get much better than that! As my placement progressed i was given more responsibility and was able to take on bigger projects. My placement lasted for a total of 6 months and in such a short amount of time i was able to learn so much from each and everyone in the office. Tomorrow is my last day and i can honestly say that i will miss INTERNeX terribly! I cannot begin to express how lucky i feel to have been given the chance to become part of this company and meet such an amazing group of people from all over the world. Thank god i’ll still be able to drop by the office whenever i want and hopefully i can organize a great relationship between the cellar and INTERNeX so then i’ll never really have to say goodbye. So the four-day-long weekend is approaching and I’m sure you guys are looking forward to a little time off…I am at least. I will be using this time to catch up on all my school work but my calender is filled with so many fun events I might just have to take at least one night off from work…maybe two. But I was browsing through our ECal and saw a few events around Canada that I thought might be of interest to you guys. A friend of mine, on her way home from work, came across “Five Sixty” located at 560 Seymour Street. Previously home to the old A&B Sound Store this place is much MUCH larger then most local nightclubs-it 28,000 sq. ft spread out over 4 FLOORS! This is something that reminds me of the clubs I used to visit back in Europe. This space can allow up to 500 people to walk around freely and choose between THREE DIFFERENT & SEPARATE mini-clubs each with its own DJ. I mean what more could you ask for?! It took over a year and close to $4million to convert this retail building to a nightclub and the end result will not disappoint. One of the most amazing parts of this spot is the basement, which has been turned into a unisex bathroom with its own bar, DJ and dance floor. So when you are taking your timeout on the loo you can still enjoy yourself and not miss out on any of the action! Haha I love the sound of this place already. If you would rather chill there is a long thin lounge on the main floor just off the main dance room. So really there is something for EVERYONE! So you might be wondering who this fine young gentleman is?! Well this is Houtan and some of you might not have met him before because has been out of the office for a little while. Currently, Houtan is working out of Toronto but will be back in the office in the next few months so here is a quick introduction to a new face (for some of you at least) and check out baby Nala in the picture…too cute! What languages do you speak fluently other than English? What position do you hold at INTERNeX? and for how long? What made you want to get involved with INTERNeX in the first place? In what ways do you think INTERNeX is unique from other international placement agencies? What does INTERNeX offer that no other company can? What changes have you personally noticed within INTERNeX? Where would you like to see INTERNeX in the next 10 years? Do you have any New Year’s goals for the company? Tell us one interesting thing about yourself that not a lot of people know? 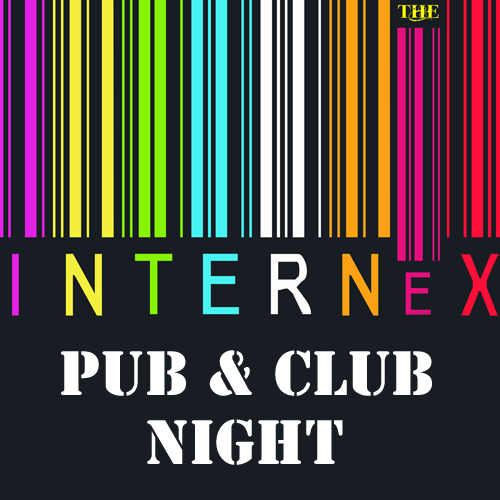 INTERNeX’s First PuB and CLUB NiGHT!! Hey everybody, so Tiffany and I have been talking about trying to bring you guys more events since INTERNeX PuB NiGHT has become such a success! Because our PuB NiGHT is usually scheduled for a Monday night it is at times difficult for people to come down because they have to get up early the next morning for work or some other obligations. So we’ve been wracking our brains and we thought what better way to solve this issue then to have our very own CLUB NiGHT. Vancouver has so much to offer in terms of its nightlife and we want to provide you with the opportunity to explore the numerous clubs that this great city has to offer. So for the following Friday, March 26th 2010, I have decided to organize a CLUB NiGHT at one of Vancouver’s hottest spots. For those of you who are interested in meeting other INTERNeX clients and sitting down for a nice chat over a cool beer, we will be having a predrink at a PuB prior to heading out to the bar. The location of this PuB will be determined closer to the date. After a few drinks and perhaps some shots whoever is interested can join Tiffany and myself to a nightclub where we can drink some more and let out all of the stress from the week. For those of you are interested in signing up for this event please contact me. If we have enough people signing up then the event will be a huge success and hopefully we can get a discount…bonus! What position do you hold at INTERNeX? And for how long have you been working here? What made you want to become involved with INTERNeX in the first place? Years ago I was working in an international programs office at one of the main private universities in Mexico City. I was primarily responsible for student placements within their field of study and INTERNeX was actually one of our partners and that is how I came to meet Tim. In what ways do you think INTERNeX is unique from other international placement agencies? What does INTERNeX specifically offer that no other company can? What changes within INTERNeX have you personally witnessed since you have joined the team? As most of my candidates I took a gap year myself back in high school. 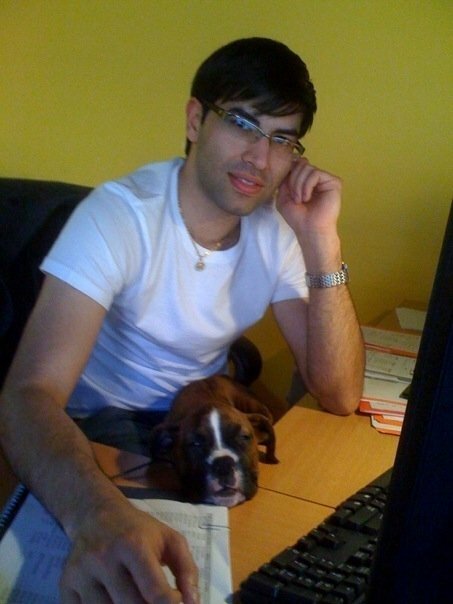 I lived, worked and traveled in Europe for a year and a half. I studied English, worked as an au-pair and even as a cleaner so I can truly relate with all of the participants of our hospitality program. Oh and another thing is that when I was young I wanted to be an Olympic gymnast. At age 6 I was already training 4 hrs a day, but then my family and I moved to a smaller city where there were no Olympic trainers so I unfortunately had to find a new dream. Well surprise surprise I have to say Vancouver. Coming from Mexico, which is a highly commercialized area with lots of, Vancouver just seems like this evergreen oasis in comparison. It is by far one of the most beautiful cities in the world and everyday I continue to be taken aback by all that is has to offer. But open to new cities and experiences.